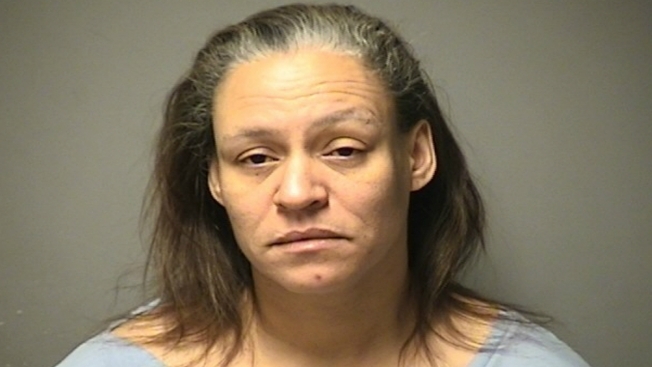 A New Hampshire woman faces charges after allegedly stabbing a man over a bottle of Valium. The 44-year-old victim on Saturday told police he was stabbed by Tara Carter, 47, of Manchester. He said he was visiting Carter when he placed his prescription bottle on the kitchen table before using the bathroom. The man said he came back moments later and noticed his pills were missing, so he asked Carter to return them to him. The accusation reportedly caused Carter to become violent when she allegedly knocked him to the ground several times before stabbing him on the left side of his chest and pushing him down a staircase. He was treated at a local hospital for a "superficial" stab wound, according to Manchester Police. Carter is charged with first degree assault, reckless conduct and resisting detention/arrest.